I am available to meet with clients in either my Brentwood West LA office, or online via Skype™ or Facetime video chat. Depending on your particular needs and location, you may find that a combination of these formats works best for you. Psychotherapy and counseling by Skype™ or Facetime can be a wonderful adjunct to in-office visits for individuals who live too far from my office in Brentwood for clients who live full and busy lives. Sometimes online therapy can be a helpful alternative to in-office visits. Below are list of reasons why you may consider Skype™ Facetime counseling / therapy as an alternative to face-to-face sessions. It’s a time saver for people who are either infirmed or super busy. If you are away from home from time to time, you don’t have to miss your session – just plug in, log on and connect. Some people feel more comfortable working with a therapist who is not local to them. Skype sessions are helpful for people who do not live in the city but are interested in the work that I do. 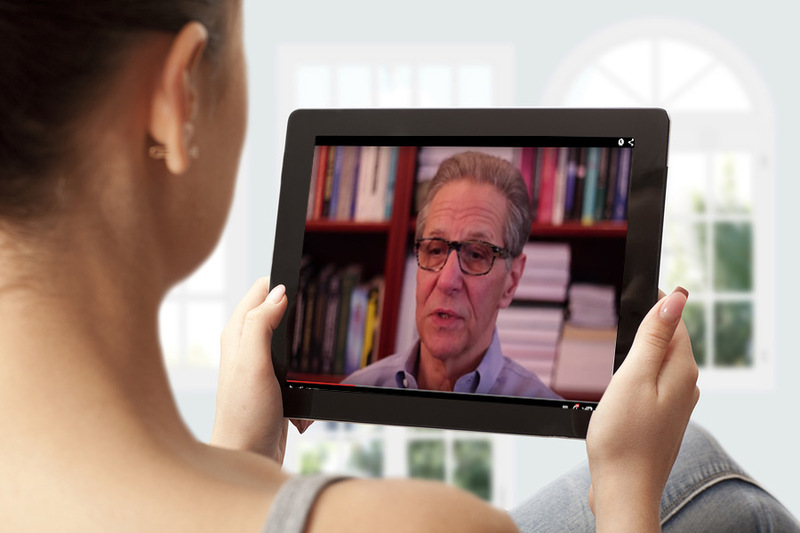 Sometimes therapists who work with Skype™ or Facetime can offer greater flexibility in terms of session times, ideal for people with busy lives and shift workers. Some clients may find it is easier to be open and more comfortable talking over Skype™ or Facetime as opposed to face to face. Especially for people with very high anxiety or agoraphobia. Skype™ or Facetime is not especially designed as a perfect alternative to face-to-face therapy but it can be very helpful to those who need it. It serves as a means of doing consistent work so you do not have to miss a session or can talk to someone who understands your unique set of issues and needs.